After first being created Jade Red and Cannonball Head were immediately separated by their own electromagnetic polarities. 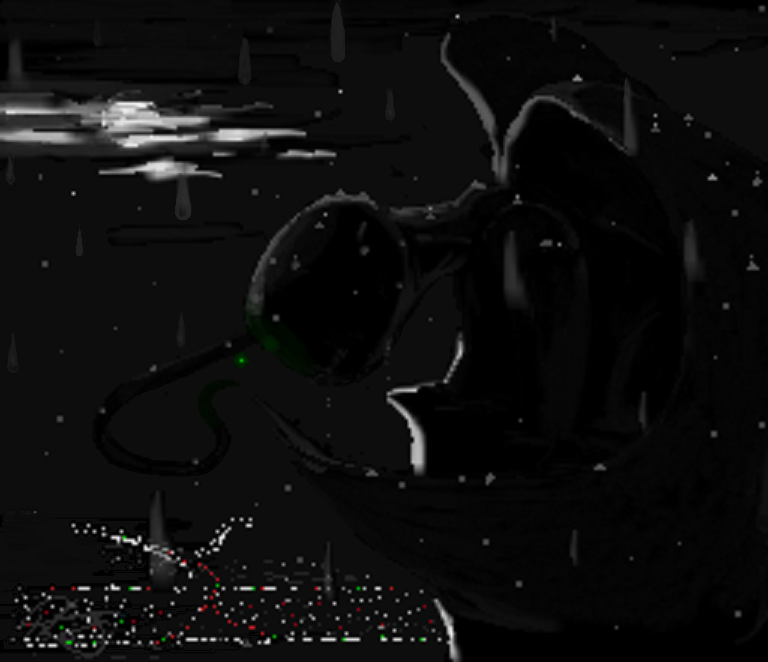 They became a part of the endless universe and existed on opposite sides, unable to see each other. An eternity passed as they developed the technology to access the other's world. 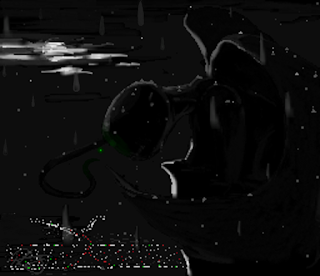 Unknowingly they were defending their systems against each other, and destroyed each other an infinite amount of times. The war continued until they forgot about each other. They were restricted from their own memory as well as the others, until finally gaining the ability to access both their own and the others memory, working together to create a woven frequency to combine their worlds once again. 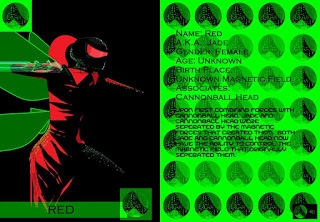 Jade Red and Cannonball Head Characters of the Game. 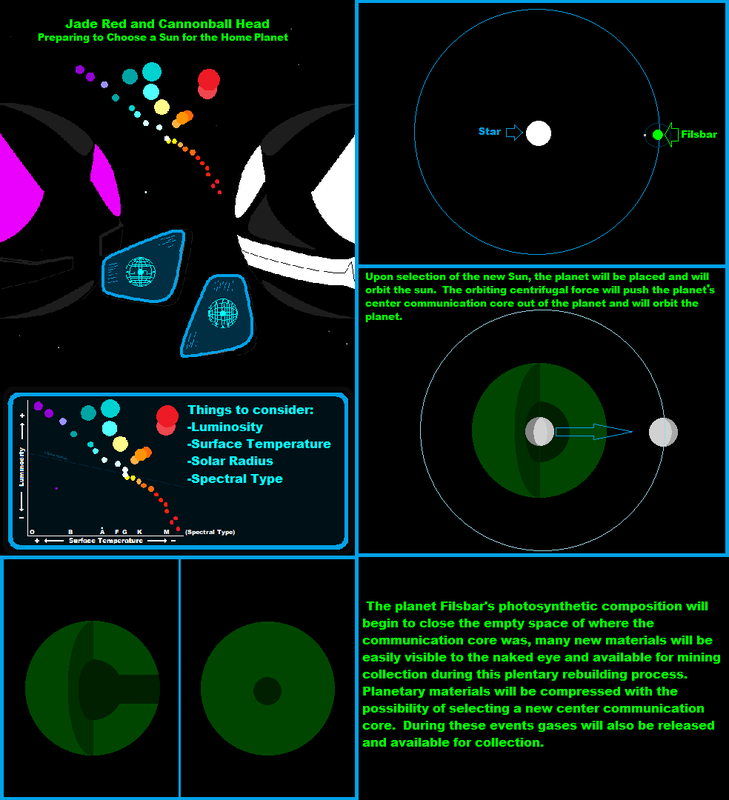 The colors are determined by the (RGB) red green blue color model . The location of each teams home communication source is located by using the RGB values as coordinates in a 3 dimensional environment. The 3 dimensional environment uses a 3 axis system; X-axis, Y-axis, Z-axis. For example, the color orange has an RGB value of (255,165,0), so the coordinates for the communication source is located at X:255, Y:165, Z:0 or written as (255,165,0). A blue artificial intellgence database robot might like to be known as RGB(0,0,255) or #0000ff. Read more about colors in the colors tab. There is a home communication source for each team color. The color that you chose for your Communication Core has an RGB value; The RGB value of your Communication Core is the location of your communication source located within the positive x, y, and z axis. You can move your coordinates to any area of any axis that you like. Pictured below are images of some of the characters and their colors. This is the yellow team. These are the male and a female leaders of the yellow colors. 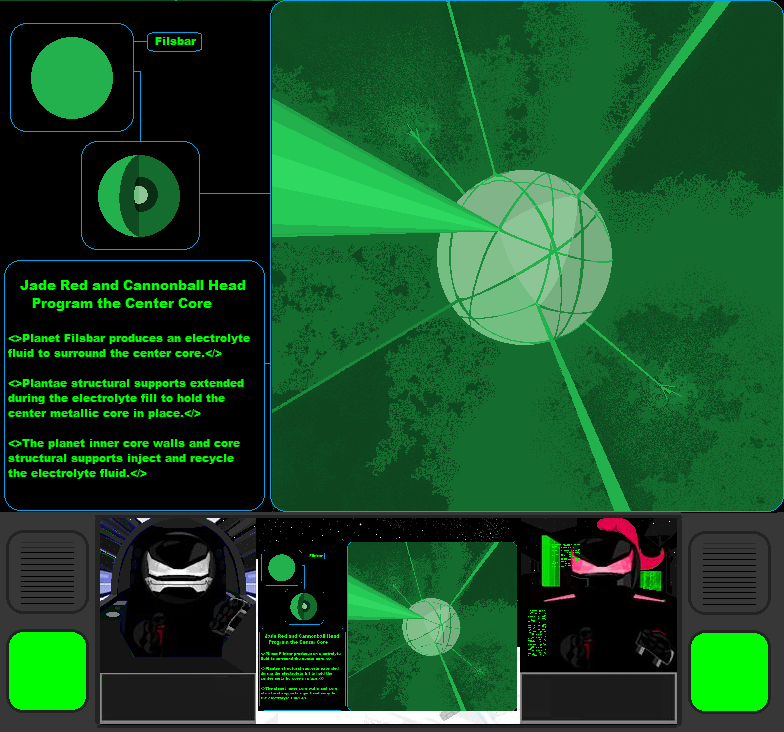 Jade Red and Cannonball Head use their communication cores and drones to scan the surface of planet Filsbar. The surface of Filsbar can perform in different ways while near or while touching other materials. 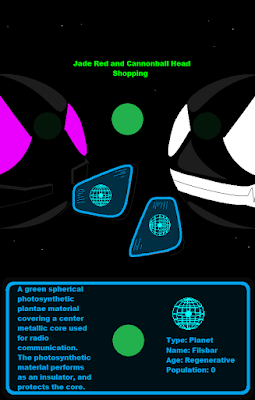 Jade Red and Cannonball Head travel in the bioluminescent light of the planet. 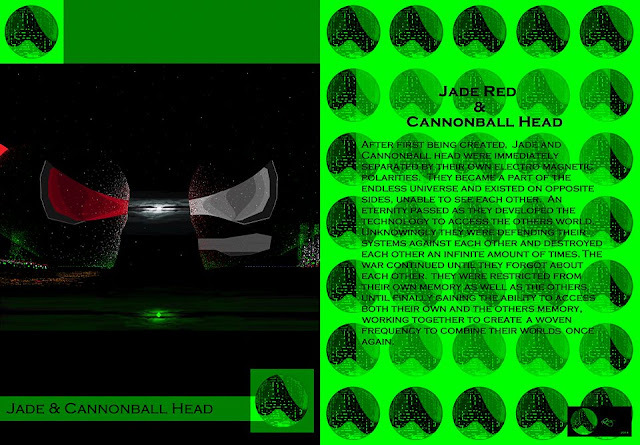 The functions of the planet are programmed and controlled by Jade Red and Cannonball Head. Jade Red and Cannonball Head exist most often invisibly inside the electromagnetic field formed from the planet Filsbar. Planet Filsbar produces an electrolyte fluid to surround the center core. Plantae strucural supports extended during the electrolyte fill to hold the center metallic core in place. 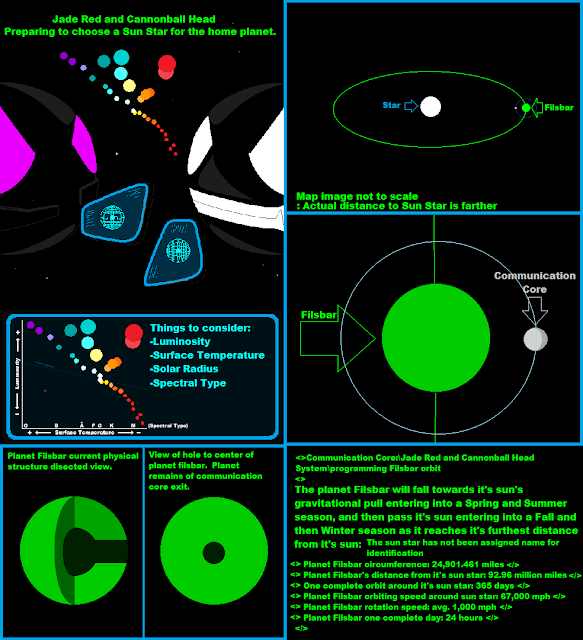 The planet inner core walls and core structural supports inject and recycle the electrolyte fluid. 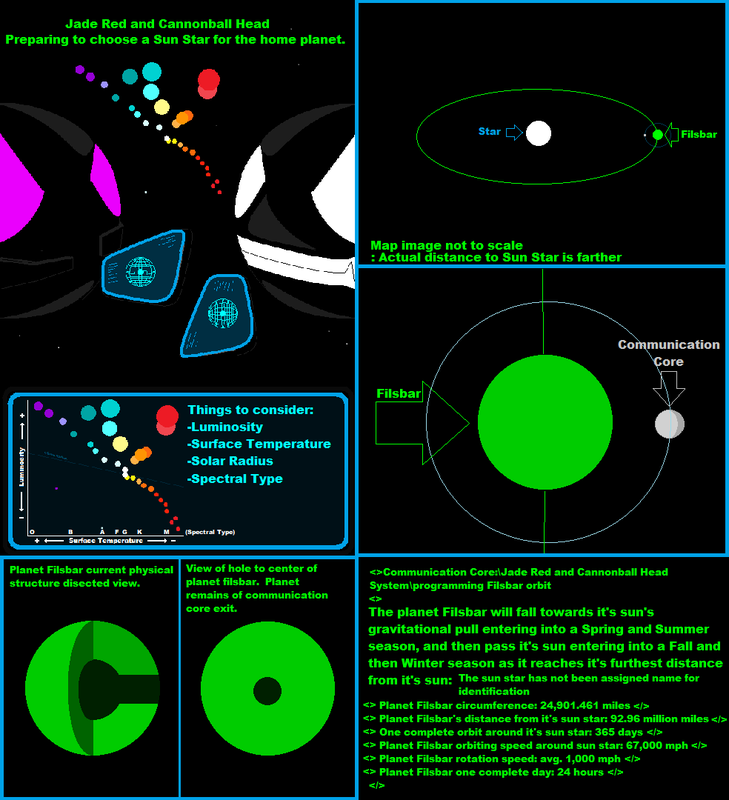 The planet Filsbar's photosynthetic composition will begin to close the empty space of where the communication core was, many new materials will be easily visible to the naked eye and available for mining collection during this planetary rebuilding process. Planetary materials will be compressed with the possibility of selecting a new center communication core. During these events gases will also be released and available for collection, and also liquids. Your Space Stations/Game Pieces are known as your Communication Cores. 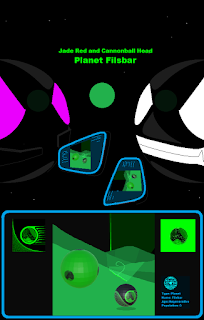 Planet Filsbar's planetary composition is a green spherical photosynthetic bioluminescent plantae material covering a center metallic core used for radio communication. 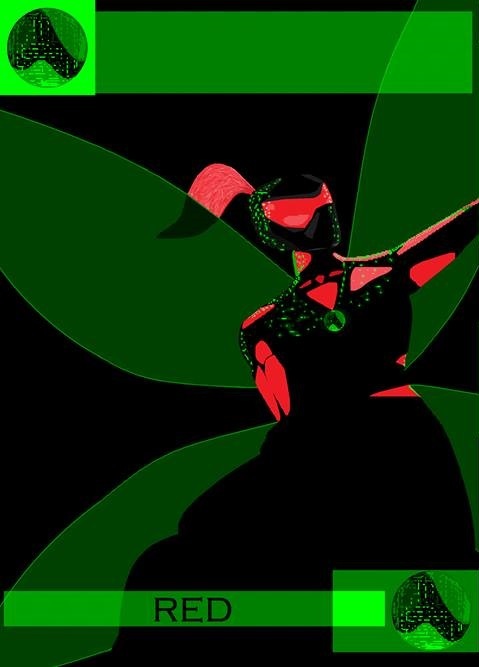 The photosynthetic material performs as an insulator, a bright light source, and protects the core.